This is an incredibly unique expandable & functional credit card /money clip as well as a nifty hold for your business cards, driver’s license or to simply organize and securely wrap your valuable papers and checkbook. The Grand Band ® can actually replace your wallet… and at the same time secures your credit cards & cash during travel! This is a unique accessory for not only the “jet-setter” but for those who prefer not to carry a bulky wallet. This unique device (Grand Band / GrandBand) consists of a stretchable band (available in 6 different colors) with an engraveable panel. There are two usable position; vertically for bills. and horizontally for credit cards. 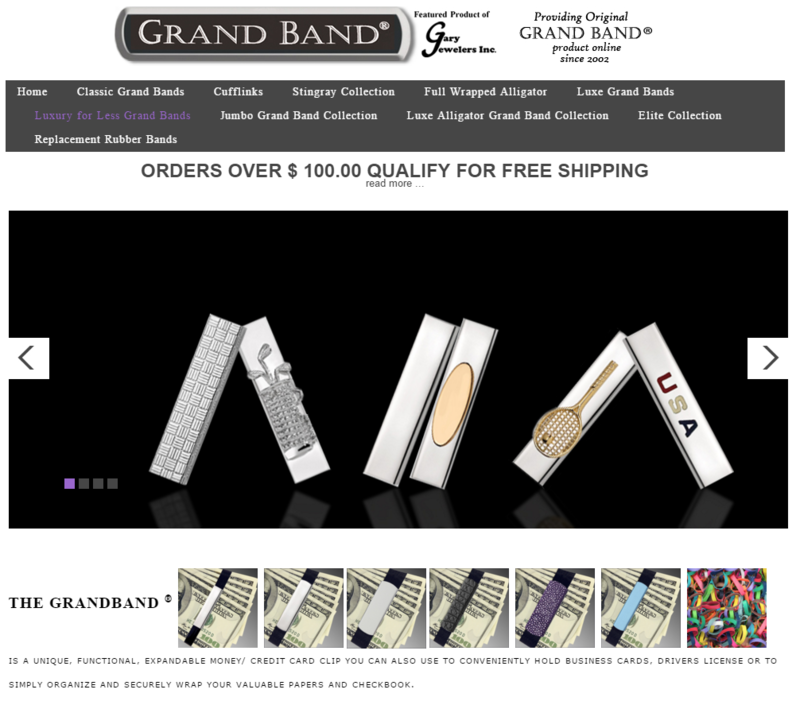 Grand Bands / Grand Bands are available in 100’s of styles designs & colors. It’s time to add a bit of “Class” to your “Cash” & credit cards!